The twitter world was set ablaze yesterday when it was announced that not only would Donna Brazile, the former DNC chief who was fired from CNN for feeding questions to presidential candidate Hillary Clinton, would be joining Fox New, but that neoconservative and former House Speaker Paul Ryan had been named to the Board of Directors for Fox. Although conservatives have long been unhappy with Fox news and tolerated the opinions of leftist Juan Williams and others on the media giant platform, the latest edition of fake Republican Paul Ryan may have been the push off the cliff some conservatives needed to finally tune out Fox News. Although mainstream, left-leaning CNN, MSNBC, CBS and NBC villainize Fox as a right-wing news outlet, most conservatives have long believed the network never went far enough in reporting on the corrupt machinations of the Washington swamp or the erosion of national institutions. The only bastion of conservative commentary on the news network has been Sean Hannity, who evolved from a vapid, neocon talking head into a force that—when he stopped delivering neocon Republican party lines—became a true free speech advocate who championed the U.S. Constitution. Tucker Carlson, a milk toast Republican, also evolved into a fierce advocate of free speech and someone who wouldn’t shy away from calling out the insanity of social justice warriors, the absurdity of identity politics and the double standards of the decidedly leftist media. With its latest cast of characters being added to the Board and the news lineup, Fox appears to be signalling to its audience that it will no longer be a more centrist reporting outlet under Rupert Murdoch’s sons and Jacques Nasser. Although twitter won’t show that #FoxNewsIsDead is trending, the writing is clearly on the wall. The new board of parent Fox is freshly stacked with globalist Harvard business school types. In a news release this week, the company announced the appointment of Anne Dias, Chase Carey, Roland A. Hernandez and Paul D. Ryan to its parent Board. According to their own March 19 news release, Anne Dias is the founder of Aragon Global Holdings, an investment fund focused on global media, technology and telecommunications companies. Dias currently serves on the board of directors of Eurazeo SE, a multinational publicly listed investment firm based in Paris, France, and serves as Chair of its audit committee. Chase Carey is the Chairman and CEO of Formula 1. Carey was the President and CEO of DIRECTV, Inc. and former Director of Saban Capital Acquisition Corp.
Fox’s announcement to add Brazile and Ryan fresh on the heels of its suspension of Judge Jeanine Perrio’s show couldn’t be more predictable or welcome to hard right conservatives, who have longed for Fox to show its true colors so we can get on with the business of building a true conservative network news outlet. Although Hannity and Tucker have made no announcements to exit the show, I look for it to happen in the near future. Mark Levin, Fox’s granddaddy of conservative thought, has already teamed up with disgraced former tea partier Glenn Beck when he merged his former crtv.com with Beck’s TheBlaze, forming Blaze Media, the outlet maximized to target conservative audiences. Regardless of what most hard liners think of Beck, the new company will have a monthly multiplatform reach of more than 165 million and will be the largest independent, traditionally conservative multiplatform media company in the United States. 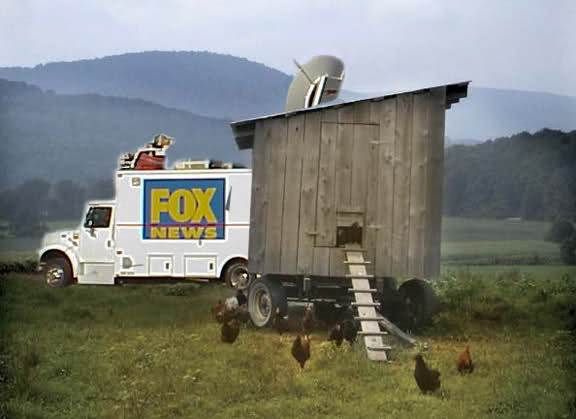 With the heavy-handed and open censorship of free speech, such as the suspension of Judge Jeanine for criticizing Ilhan Omar’s anti-Semitic remarks, and the doxing of conservative talk show hosts, such as when an Antifa mob vandalized Tucker Carlson’s home and car this past November, the shakeup at FOX News may be exactly the push conservatives need to grow and continue to cultivate an audience of like-minded free thinkers. In fact, most hard line conservatives have already left the Fox network, choosing instead to listen to paid podcasts and YouTube channels where they get not only more honest reporting, but can view in-depth interviews on culturally and politically relevant conservative and liberal guests. Surprisingly, conservatives both young and old enjoy long-form reporting on important issues over small sound bites with little red meat. In fact, it is the success of alternate media outlets on YouTube that has led to the ever-tightening censorship and deplatforming of daring reporters and outlets such as Laura Loomer, PragerU and Alex Jones’ Infowars. Alternative platforms such as Minds.com, Bitchute.com and Gab, to name just a few, are growing in numbers daily. By forcing conservatives off of mainstream platforms, the left has made an egregious error. The entrepreneurial and creative outlets that will be created from the blowup will prove to be a boon for the right. Unfortunately, those left behind will be the elderly, who don’t or won’t learn how live streaming works, or the rural poor, who can’t afford streaming services or the costs of satellite services and equipment in remote areas. Conservatives who have long enjoyed free content, will begin to support conservative outlets such as Blaze TV in growing numbers when the well of free-thinking content dries up.